In his first G League appearance during the 2018-19 season, Isaiah Hartenstein was among the Rio Grande Valley Vipers main offensive contributors. 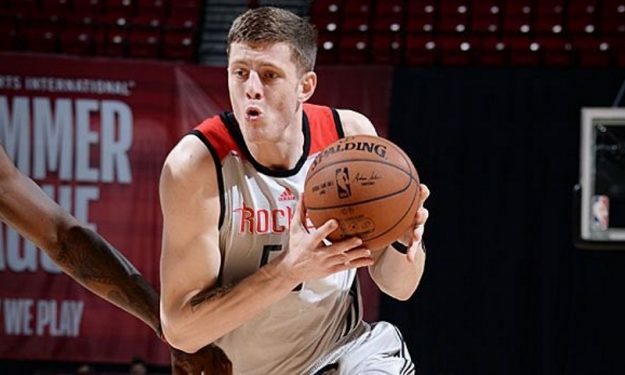 Houston Rockets assignee Isaiah Hartenstein debuted in the G League 2018-19 season with 22 points, nine rebounds, eight assists and three blocks! He helped the Rio Grande Valley Vipers (7-6) beat the Agua Caliente Clippers (5-7) 133-124. Manu Lecomte had 14 points, two assists and one rebound for the losing side. Naz Mitrou-Long sank 16 points, grabbed nine boards, dished five assists and blocked two shots in the Salt Lake City Stars’ (7-6) 119-113 victory over the Texas Legends (6-8). Kostas Antetokounmpo had ten points, seven rebounds, two blocks and a steal for the home team. Serb Alen Smailagic posted a 14-point, 12-rebound double-double aiding the Santa Cruz Warriors (10-2) beat the Sioux Falls Skyforce (10-3) 113-102. He is now averaging 10.3 points and 4.3 rebounds per G League 2018-19 match. Isaac Bonga poured 11 points, also posted eight rebounds, two steals and one assist in the South Bay Lakers (6-8) 103-89 loss to the Westchester Knicks (12-3). Hungarian Gyorgy Goloman scored two points and grabbed one rebound for the winning side. In other action, the Raptors 905 (10-3) got a 106-88 victory over the Iowa Wolves (4-8).